Ounsi el-Hajj (July 27, 1937 – February 18, 2014) was honored and celebrated today with an artistic doodle from Google. el-Hajj was a Lebanese poet, journalist, and translator. His father is journalist and translator Louis El Hage, and his mother is Marie Akl, from Kaitouli, Jezzine. He studied at Lycée Francais and La Sagesse High School. His career in journalism kicked off in 1956 at Al Hayat newspaper, later moving to An Nahar newspaper where he edited nonpolitical content. 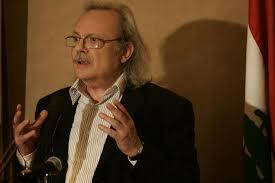 In 1964, he founded the poetry magazine Al-Mulhaq as a supplementary cultural publication to An Nahar. Apart from his permanent position at An Nahar, Ounsi was the editor-in-chief of several magazines including Al Hasna magazine in 1966 and Arab and International Nahar between 1977 and 1989. In 1975, el-Hajj contributed to the foundation of the poetry magazine Majallat Shi’r. 1960 marked the release of his first book of poetry entitled Lan, the first compilation of Arabic prose poetry. Beginning in 1963, Ounsi translated into Arabic several plays by Shakespeare, Ionesco, Camus and Brecht. These translated works were staged by the Beirut School of Modern Theater during the Baalbeck Festival and under the direction of Nidal Al Ashkar, Roger Assaf, and Berge Vaslian. Ounsi published several books and works of poetry between 1960 and 1994, including Lan (1960), The Chopped Head (1963), The Past of Forthcoming Days (1965), What Have You Made with the Gold What Have You Done with the Rose (1970), The Messenger with Her Hair Long Until the Sources (1975), and The Banquet (1994). He also published a book of three volumes of essays entitled Words, Words, Words as well as a book of two volumes of philosophical musings and aphorisms entitled Khawatem خواتم. The third volume of the latter is pending publication along with other unpublished works. 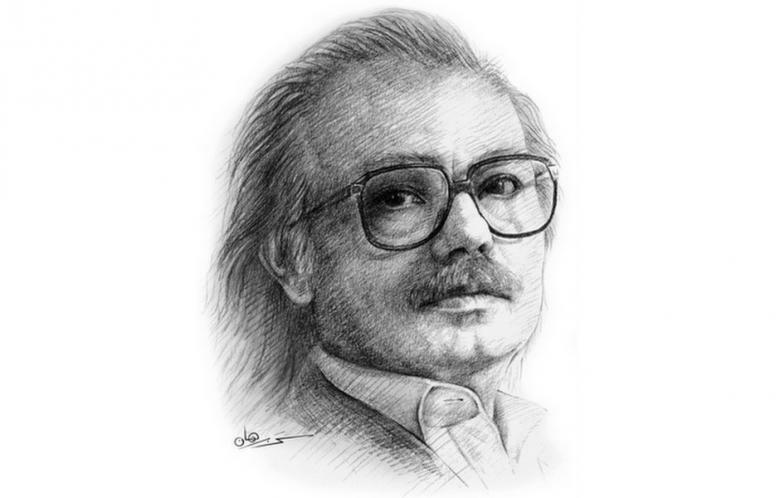 Many of Ounsi el-Hajj’s works have been translated into different languages including English, French, German, Italian, Spanish, Portuguese, Finnish, and Armenian. In 1994, Lebanese soprano Majida El Roumi released an album entitled “Ibhath Anni” (Look For Me) which featured a title song in classical form with lyrics by Ounsi with operatic string themed music composed by Abdo Mounzer. In 1992, Ounsi followed in the footsteps of his father Louis El-Hage, becoming Editor-in-chief of An Nahar. He held this position until September 2003 after which he acted as a consultant to the Board of Editors. Ounsi contributed to founding Al Akhbar newspaper in 2006, where he became the leading columnist and editorial consultant, writing a weekly prose column and weekly commentary that ran in the Saturday edition. Ounsi el-Hajj would have been 79 today.